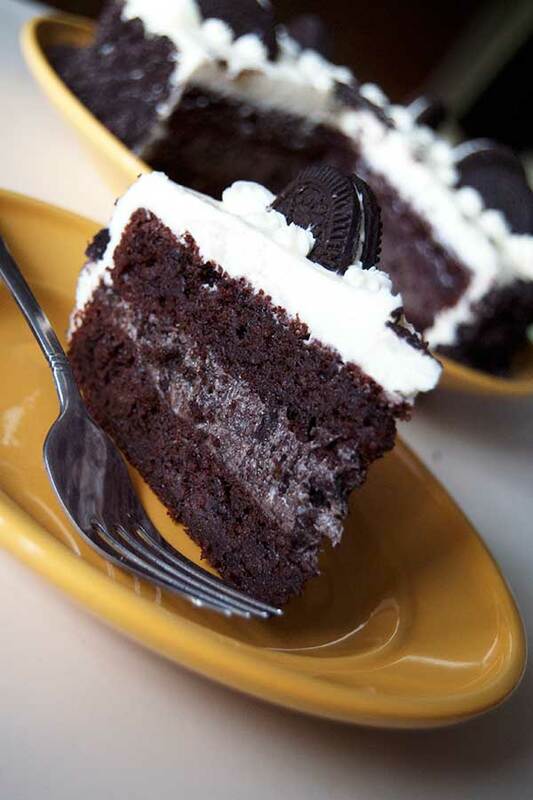 Today I’m sharing one of our favorites: gluten-free Oreo* cake. 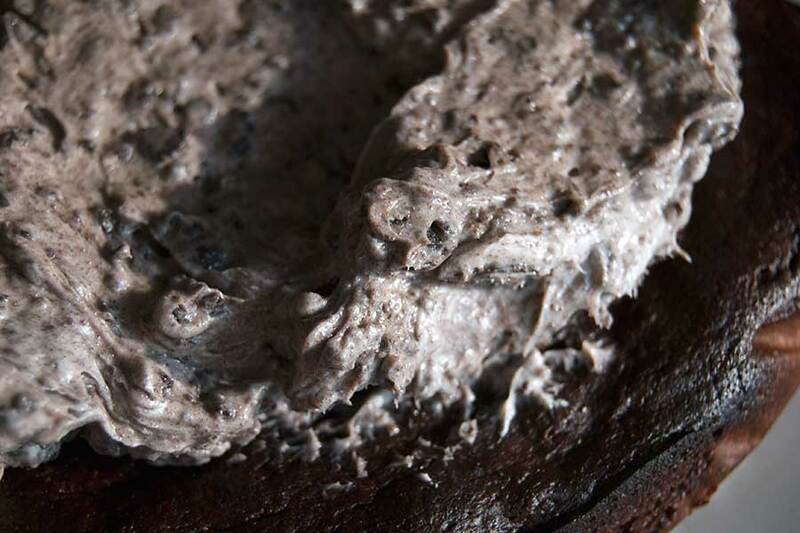 It has a perfect blend of chocolate and cream, with that special Oreo cream filling to tie it all together. It’s rich and sweet, though not overpowering. *Note: Oreos are not gluten-free, but gluten-free substitutes are easy to find and can taste just about the same depending on the brand. With desserts like this, who wouldn’t enjoy eating gluten free? I made this chocolate quinoa cake. I suppose any chocolate cake would work, though I like the balance between the frosting and the denser quinoa cake. I also make sure to chill it in the fridge before frosting. Once it’s cooled, then the fun begins! 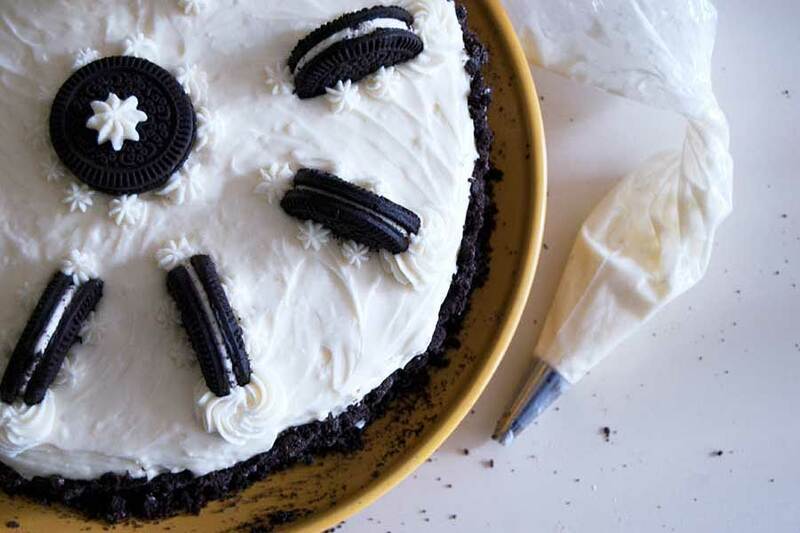 Place the second layer of cake over the Oreo frosting and add a big dollop of frosting on top. 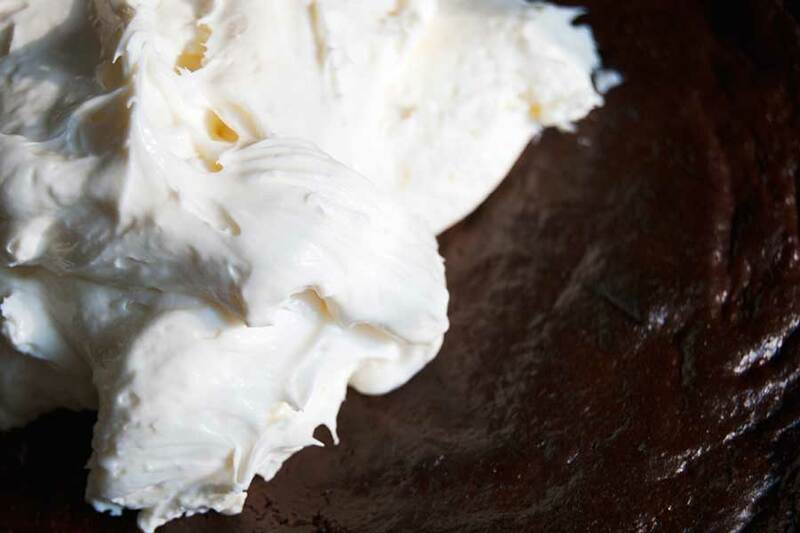 Reserve some frosting if you plan on using it to decorate the top, otherwise use the rest to frost the cake. 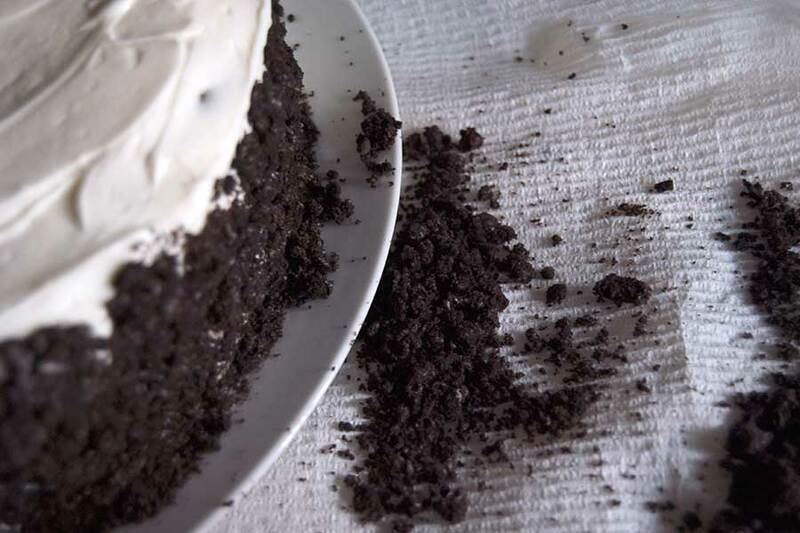 Use a clean hand to put crushed gluten-free Oreos along the sides. I placed a paper towel under the edge of my plate to catch all the excess and reuse it. If I’m feeling lazy I’ll cover the whole thing in crushed Oreo, if not, I’ll go from this step and decorate it another way. Cover and store the cake in the refrigerator. Then it’s time to slice and enjoy! I’m sharing this with my friends at Fiesta Friday. Have a great weekend, everyone! Thanks for sharing with us at Fiesta Friday #86. Happy FF! 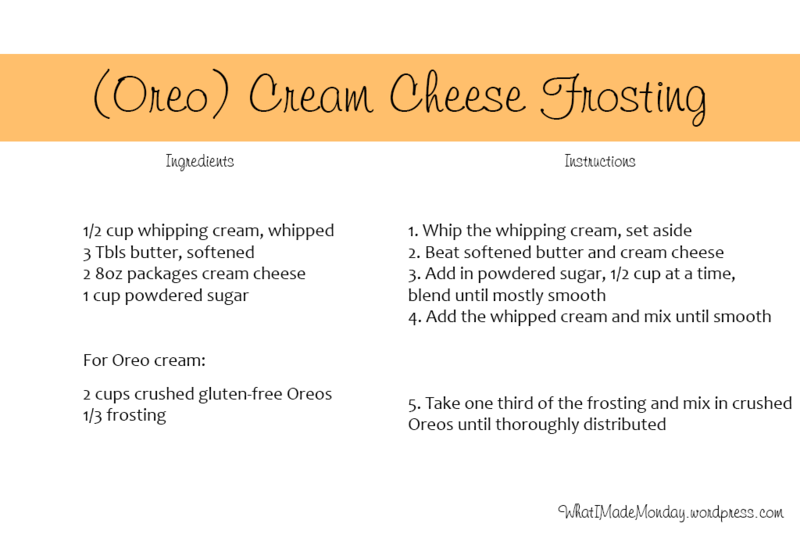 For me I would use the real Oreos – just love them in desserts or just on their own with a cold glass of milk. Thanks for bringing this tasty dessert to Fiesta Friday.